Rachel Hare is a South Australian artist who works from her home studio in the Adelaide Hills. 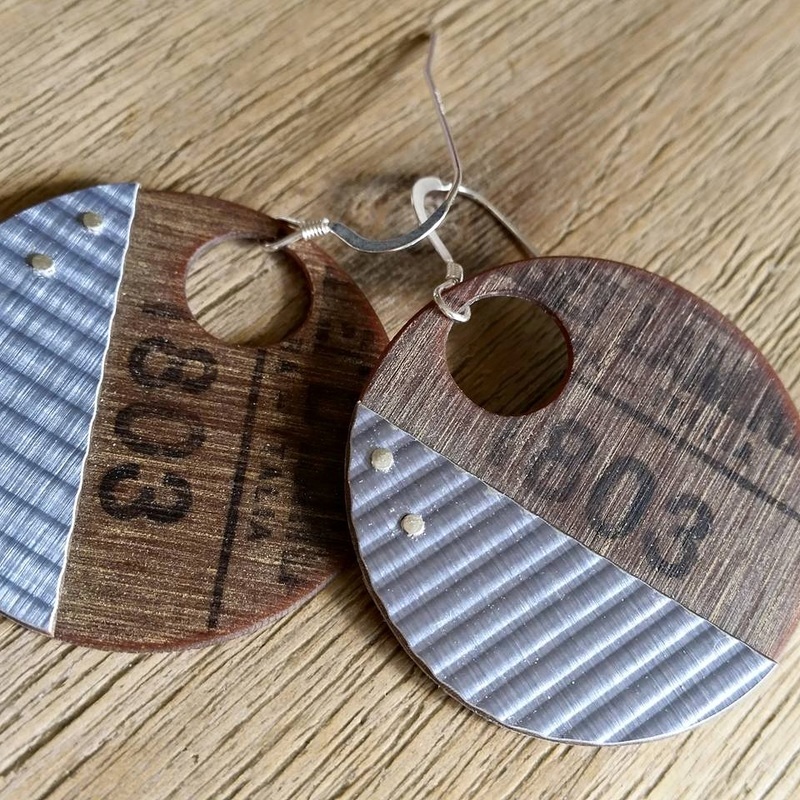 Rachel graduated from UniSA in 1997 with a Bachelor of Design (major Jewellery) and is the founder of Rarehare Designs, an environmentally conscious jewellery and homewares label which utilised discarded, unwanted, pre-loved materials. Growing up, I loved recycling weird and wonderful objects. Creating from old and discarded materials; others trash, my 'treasure'. The jewellery I make has been inspired by a love of recycling (up-cycling now!) and experimenting with materials not commonly associated with jewellery. I stumbled across specialist laminates whilst living over-seas and have been working with them ever since. By combining the vibrant colours and finishes with the textual element of the laminate creates not just something to look at, but holds a tactile element to each piece.